Why has Pope Francis written a document on ecology? Today, on a special edition of the SLHour, we deacon-struct the Encyclical on the Care of our Common Home with special guest, environmental engineer and Franciscan Sister of the Eucharist, Sr. Damien Marie Savino, FSE, chair of the Environmental Science and Studies Department of the University of St. Thomas in Houston. This program was taped with the generous help of Madeline Johnson at the Radio Ministry of the Archdiocese of Galveston-Houston. Watch The Ecology Encyclical: Care for Our Common Home, a panel discussion, hosted by Sebastian Gomes. 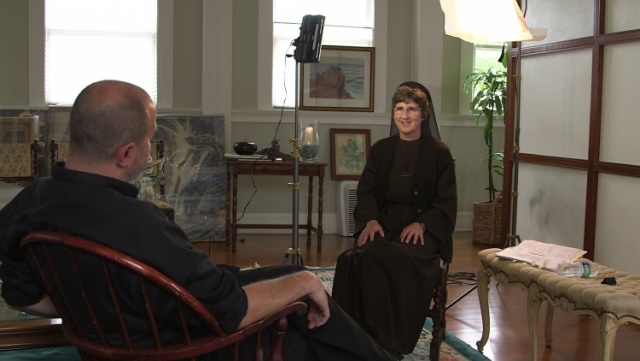 Watch Sr. Damien Marie Savino’s interview with Alicia Ambrosio on Vatican Connections. And to learn more about the Catholic approach to ecology, watch Creation.